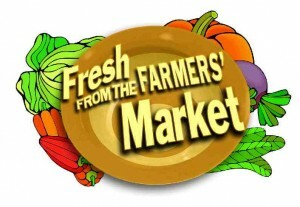 Back at the market this weekend…sweet corn and home-grown tomatoes…heirlooms as well as Kenny’s red ones. We will have kale for your greens this week, also… green beans, red potatoes, beets, okra, cucumbers, zucchini, yellow squash, eggplant and a variety of peppers. Winter squashes and sweet potatoes will now be available. Turnip for some of Kenny’s other goodies. Apples are ready for picking… Galas’ are ready! We will also have some Asian pears available, at least for our baskets. We are still hoping for another pick of table grapes, just not sure which ones will still be producing. Mutzu apples are ready to pick, hoping I can get that done by Friday. We now offer our “Baskets of the Week” every Saturday. If you are in need or want one please email me by noon Friday, val@russellveggies.com. The prices remain the same as in past years…$16 for the small ones and $32 for the half bushel size. It takes lots of planning to make these happen, they are done fresh Saturday morning and are pre-order only. Please remember that pre-orders should be picked up by 11:00. 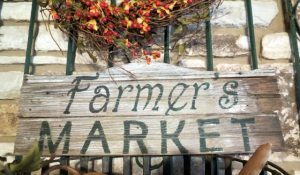 We will have more of our homemade goodies along with Kenny’s Grilling Planks and Blackening Spice. If you don’t see something… just ask, we don’t have enough table space! 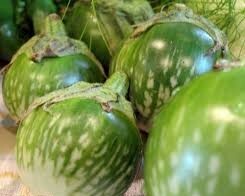 What is a Thai eggplant? It’s a dinky little eggplant, and if you lop off the top and quarter them, they make a great ingredient in many dishes. 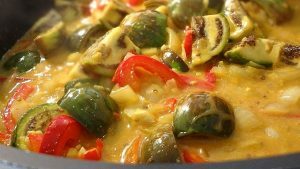 Try this simple and delicious Thai eggplant recipe. Heat oil in a large skillet on medium high heat. I use coconut oil in this recipe, but substitute olive oil if you like. When oil is heated, add the onion, bell pepper, garlic, ginger, lime zest, and hot peppers. Add as much or little hot pepper as your taste buds desire. Sauté these ingredients for 2-3 minutes and then stir in the coriander, turmeric, chili powder, and salt. Continue sautéing 1-2 minutes and then add the quartered Thai eggplant. When the eggplant is cooked, turn off the heat and add chopped Thai basil and lime juice. Serve over jasmine rice. ** I used 1½ Tablespoons of curry seasoning that I received from India, in place of the above spices. 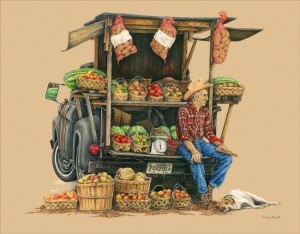 Back at the market this weekend…sweet corn and home-grown tomatoes…heirlooms as well as red, yellow & cherry tomatoes. We will have plenty of kale for your greens this week. Also… green beans, new potatoes, beets, okra, cucumbers, zucchini, yellow squash and eggplant. Kenny will be bringing more small candy onions and a wide variety of peppers. Winter squashes and sweet potatoes are slowly making their way onto the tables. Apples are ready for picking… Galas’ are ready! We will also have some Asian pears available for a week or so. We’re hoping to have one more pick of table grapes, just not sure which ones will still be producing. Mutzu apples are still a few weeks from being ready to pick. This is a delicious, quick and easy salad to make for any meal. I sometimes add salmon or chicken for a dinner entrée. This makes plenty for Kenny and myself, but could be doubled easily to feed more. 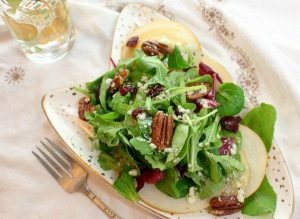 In a large bowl combine the Asian pear, baby greens, feta cheese, cranberries and pecans. In a small bowl, whisk together the olive oil, vinegar, Dijon mustard, honey, pinch of salt, and a few good grinds of pepper. Add the onions to the vinaigrette then set aside. When serving, dress the greens lightly, season to taste, and serve immediately. 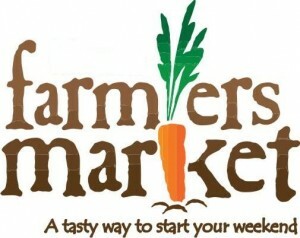 Back at the market this weekend…sweet corn and home grown tomatoes…heirlooms as well as red, yellow & cherry tomatoes. Swiss chard is currently on hiatus, but may be returning in a few weeks (too much cutting, I believe). We will have plenty of kale for your greens this week. Also… green beans, new potatoes, beets, okra, cucumbers, zucchini, yellow squash and eggplant. Kenny will be bringing more small candy onions and a wide variety of peppers. Winter squashes and sweet potatoes are slowly making their way onto the tables. Peaches are just about done for the season, we will have enough for our baskets and more for the table. “Faith”, table grapes are ripe and tasty, a few more available this weekend. We may even have a few white grapes Saturday as well. Apples are just a week or so away… and they are looking awesome this year. 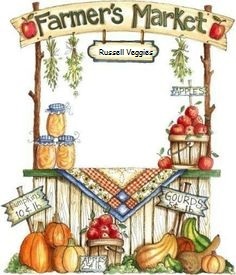 This Saturday, August 18 will be Russell Veggies’ sixth (6) annual Recycle event. 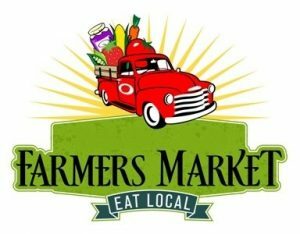 Anyone who wishes to recycle any previously used items acquired from us (or others) is asked to bring them to the New Albany Farmer’s Market on that day. 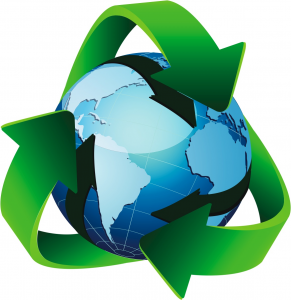 We recycle most any items our customers bring, join us and help reuse, reduce and recycle. 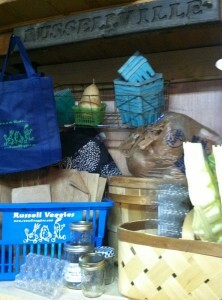 We would love to get back some of our many reusable bags and baskets. Many thanks to all of you that continue to reuse, reduce and recycle. On the tables this week you will find… Corn and tomatoes!!! also…Heirloom and cherry tomatoes, green beans, beets, new potatoes, zucchini, yellow squash, kale, okra, eggplants, cucumbers and candy onions. We will have more of our peppers… green bell, jalapeno, banana and Cayenne. Peaches are READY and DELICIOUS! 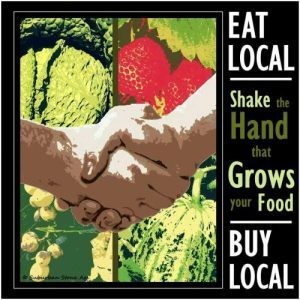 We will have plenty for our baskets and some for the tables! We will also have a few more table grapes, Faith, they are delicious! Our weekly baskets are still available, be sure and pre-order by NOON Friday.